Allow us to introduce you to the EDITH, modern townhomes for residents searching for what's next in Urban housing. All units include high end, professionally curated finishes for no extra cost. This community fits in nicely with the hip yet humble vibe of the Ballpark District that is waiting to be discovered by you. 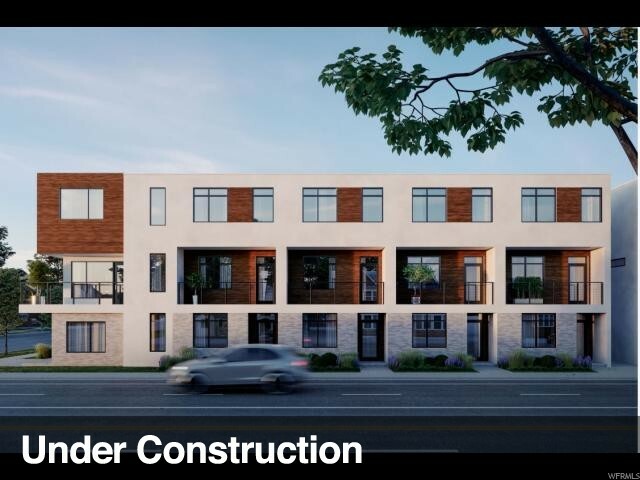 The newest project from CW Urban features 23 modern townhomes. These spaces are fresher than fresh, and each is equipped with outdoor patios with a gas grill hookup, a downstairs flex space (perfect for your home office, overnight guests private space, or home gym and a large, open-concept main living space. Kitchens are stunning as they're decked in quartz countertops, equipped with Energy Star appliances, and sporting an in-island, oversized basin sink. Each is also equipped with an attached garage that's electric vehicle-ready. Not to mention a stones throw from mass transit top it off with a community outdoor space and you've got your space in the heart of it all. Square footage figures are provided as a courtesy estimate only. Buyer is advised to obtain an independent measurement. Home is currently under construction with anticipated move in February.